odaxelagnia is creating content you must be 18+ to view. Are you 18 years of age or older? Hello! 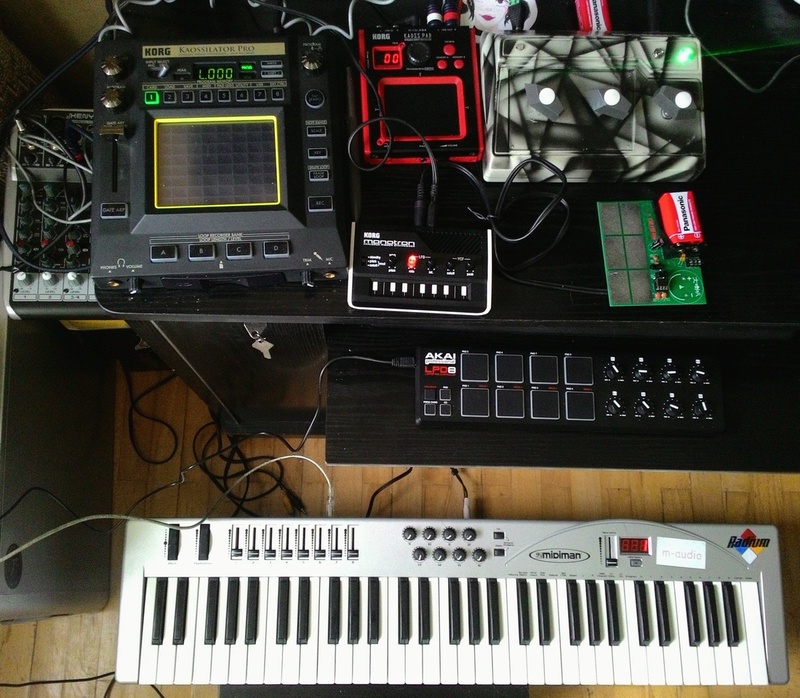 We're a duet and we create electronic music with vocals (the style is mostly chiptune/experimental/breakcore/vaporwave, but there's a lot of others as well), as well as manage a printed CD record label. 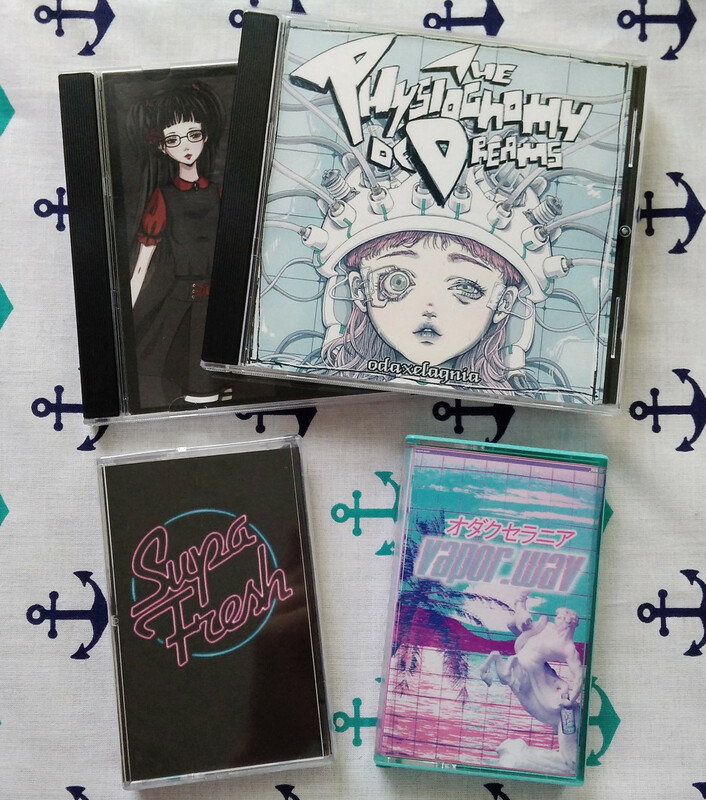 We've released some solo CDs and tapes, appeared many times on various compilations released in different countries (J-Core Masterz and others), and made a lot of free albums. The music itself is very varied - some of it is pretty serious, but there are also some tracks that are just silly jokes. The process of making music and releasing stuff by so many people requires a lot of time - time that competes with other kind of work and getting money. The more money we get here, the more time (and money as well, of course) we'll be able to put into the stuff we make for you - we could buy new hardware, get help with releasing music (especially physically), cover up some potential gig trip cost or try other stuff (merch) you asked us about. Maybe we'd be able to post some interesting hardware live jams, more covers, create some tutorials on YT, post sample packs or make more homemade physical releases? We offer commissions as well! One of us is also a visual artist and creates our outfits, takes care of most of the graphic design, draws and more. Please remember that Patreon works in a slightly different way than regular crowdfunding networks - with Patreon, you can donate to your favorite content creators on a monthly basis. Even this much helps. Patrons who pay $2 have access to frequently posted WIPs and stuff on the Patreon blog. Patrons who pay $3.50 have access to frequently posted WIPs and to new album download links at least one day earlier than the rest (as long as the label allows us to do so, but this shouldn't be a problem)! Patrons who pay $5 have access to frequently posted WIPs, new album download links at least one day earlier than the rest and can give us sampling suggestions/song ideas all the time! Patrons who pay $9 have access to all the lower rewards + will receive my help with their productions (I'll listen to your work and give an extensive explaination on how to help, maybe also with examples or a small collaboration). Patrons who pay $17 have access to all the lower rewards + will receive extensive and prolonged help with their productions (credited/uncredited collab/split; I can also help to get started a bit)! Patrons who pay $25 have access to all the lower rewards + will get on a list of patrons to which we will link all the time whenever possible. They can also attach a link to their name as long as it doesn't break any rules. Same as the lower one, but we'd also have a lot more to buy materials for new outfits/cosplays or for gig trips. After reaching this goal, we can try to start some CDR or print giveaways for example!